Welcome to the farm! 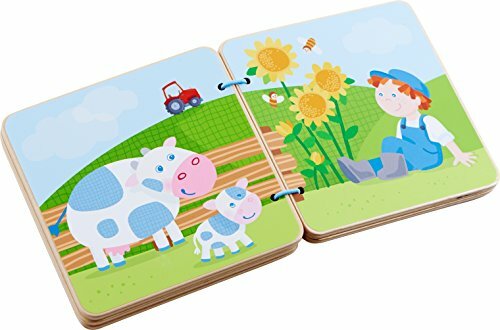 5 large, wooden pages show children all the things Farmer Peter has on the farm. Made of plywood with colorful attractive illustrations full of details to discover. Measures 5.5" x 5.75". 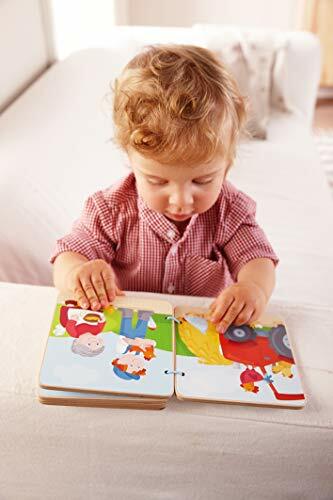 Recommended for ages 10 Months and up. 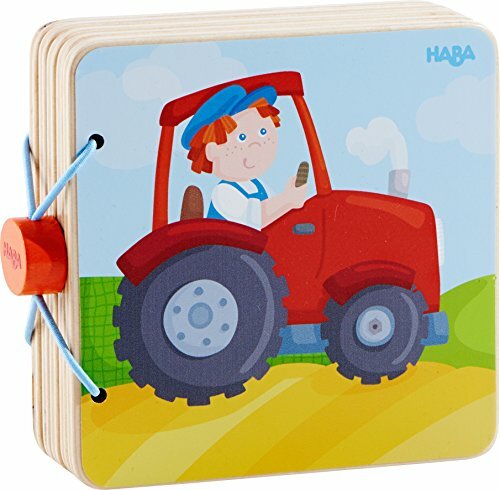 HABA is a German company with a long history of deep commitment to high-quality design, safety and social & environmental responsibility. This item is designed in Germany and made with strict care in China.